The LaughOnLine App is a mobile optimized web app that engages users with interactive comedic content. The app provides comedy fans with easy access to fun, stand-up content and the opportunity to rate up-and-coming comedians. The LaughOnLine app will showcase the “Fresh Faces” comedians who perform once a month at the Laugh Factory comedy club in Los Angeles. The LaughOnLine App can be used to rate comedian performances and videos, as well as to enjoy new stand-up comedy videos and share them with friends. 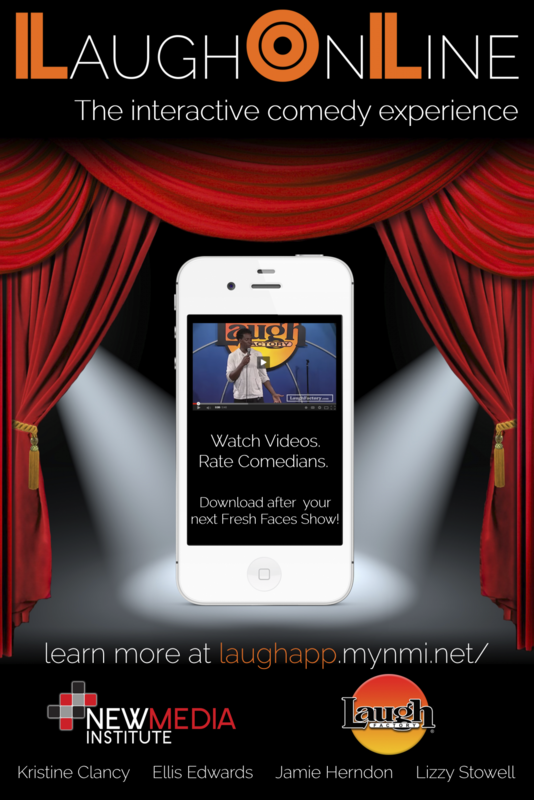 Laugh Factory club attendees will have the opportunity to rate a comedian that they saw based on overall performance and two other attributes, which will give them access to the app’s homepage to browse and watch new videos. Users who have not attended a Laugh Factory show can also access the app through their Facebook or online, and can rate comedian video clips from past Laugh Factory shows to unlock new video content. Our goal is to create an app that will benefit our partner, Laugh Factory, by contributing to their comedian database, while providing users with an entertaining, interactive experience. The LaughOnLine App is the first app of its kind for a comedy club and we hope to expand it to other shows and clubs in the future.